I hope you enjoy these excerpts from my book. 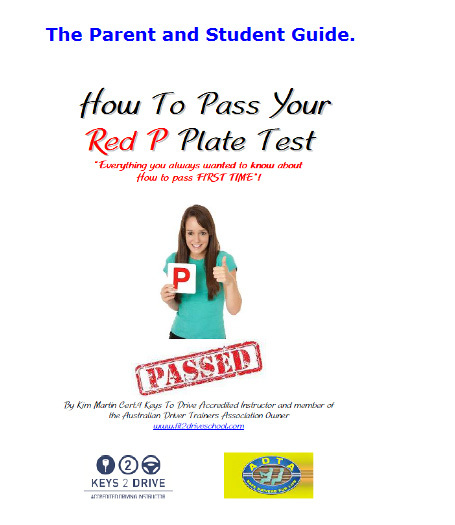 Like anything passing your P Plate test means practice, this information will show you how to practice correctly and go on to Nail Those Red Ps First Time! The below is just a small portion of what’s in your book. Along with the DVD and CD you’ll confidently understand what you need to do to perform the required maneuvers and other test requirements on your big day. Enjoy! Testing routes! So you wanna know where the “secret testing routes are” here’s the answer.. Helpful Links & Learner Driver Must Knows! your system when you drive a vehicle. Demerit points – If you incur four or more demerit points during a three year period, your licence will be suspended for three months. Display of L plates – L plates must be clearly displayed on the front and back of the vehicle. Seatbelts – You must ensure all occupants including yourself, are in a seat that has a seatbelt or an approved restraint fitted and that each passenger is using the seatbelt or restraint. Speed limit – You must not drive faster than 80 km/h and must observe the speed limit where it is below 80 km/h. Supervision – A person who has an appropriate Australian full license (not a learner or provisional license) must sit next to you when you are driving. Supervising a learner – You must not supervise another learner driver. Towing – You must not tow a trailer or any other vehicle. Location restrictions – You must not drive in Parramatta Park or Centennial Park when in Sydney. This includes phones in the hands-free mode or with the loudspeaker operating. Q: What about the 3 for 1 lessons? Yes I’m certificate 4 qualified by the RTA so I can offer 3 for 1 driving lesson. Please let ume know when you’d like to book a lesson. Q: Is it possible to learn in my own vehicle? Yes as long as Its within RTA regulations for a learner vehicle. Certainly I will lend you a car for your test at a sensible rate. I’m also able to take you for a lesson prior to the test so you feel comfortable and confident. Q: Is having an overseas license an automatic qualification for an Australian license? The lessons go for 1 hour and I’ll pick you up and drop you off. I’ll also talk about your 20 point safety analysis which might take 10-12 minutes. Yes. At the end of the lesson, I’ll fill in your log book. As of 31 January 2011, the demerit points threshold for unrestricted licence holders in NSW increased from 12 to 13 points. From 31 December 2010, demerit points for 22 offences committed on or after this date will be reduced or removed.These include roundabout, indicator, bus lane and towing offences. Demerit points for key road safety offences such as speeding and seatbelt use will remain unchanged, So please follow the previous demerits point system until further notification from RTA. Q: How many questions will be asked in the Driver Knowledge Test? 45 questions will be asked in the computer-based test. In order to pass the DKT, you’ll need to answer at least 41 correctly (Of those 12 questions correctly among the 15 general knowledge questions and a minimum 29 correctly among the 30 road safety questions). Q: What is the minumum age requirement to apply for a driver license? 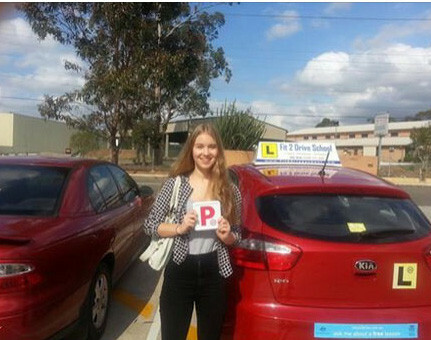 You’ll need to be at least 16 years old before you can apply for your driver’s license in Australia. Q: Where can I find more information about getting my driving license in Australia? Q: Is it possible book my DKT (Driver knowledge test)test online? You’re able to book a new test, or to change or cancel an existing booking also through the above website. 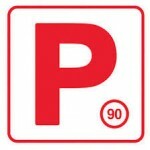 Pass Your P Plate Test FIRST Time!